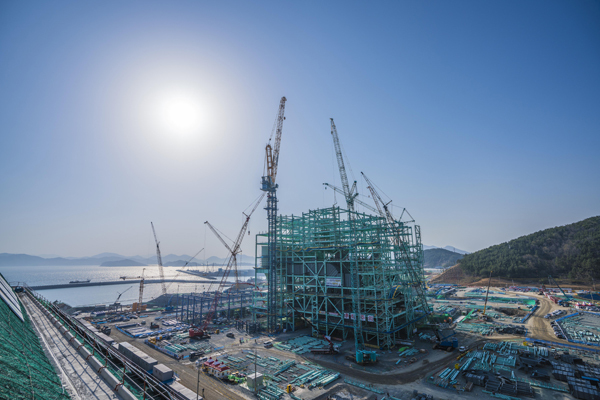 Sarens has been using two Wilbert WT2405L e.tronic tower cranes to perform lifts at the Goseong Green Power Plant in South Korea, which, once complete, will be the country's largest private power plant. This ultra large thermal power plant is designed to increase efficiency by 15% thanks to advanced technology that allows it to run at higher temperatures but use less coal and emit less greenhouse gas. Sarens' involvement in the operation will continue through August 2019. It primarily involves lifting steel structures on behalf of client SK Engineering and Construction. The 11-member crew has already lifted several steel structures within the plant's boiler building. These weighed about 20t, with a 75m radius and 80m height. To do it, they have deployed two units of the largest tower crane in Korea, the Wilbert WT2405L e.tronic. This model has a 32t capacity up to a 52m radius, and 19.5t capacity up to a 78m radius. 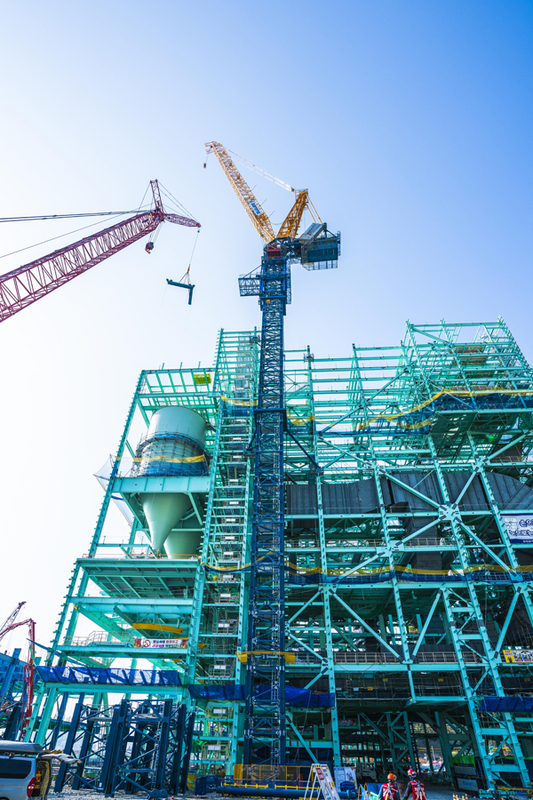 "It took us one year to convince the client to use a tower crane instead of crawler cranes due to limited space available on site," said project manager Jungho Lee. "The client realised that the Sarens WT2405 is one of the biggest tower cranes in Asia and was convinced that they could save the construction period, which meant saving money. They changed the crane plans to eliminate four crawler cranes and add the WT2405 in order to avoid job site congestion."